This two–disk title divides instruction into an introductory program and an advanced program, both contained in the same case. The introductory, first disk focuses identifying how other people show a variety of core emotions, feelings and moods to the outside world, including happy, sad, angry, excited, nervous, frustrated, surprised, scared, hungry, confused, shy, disappointed and embarrassed among others. 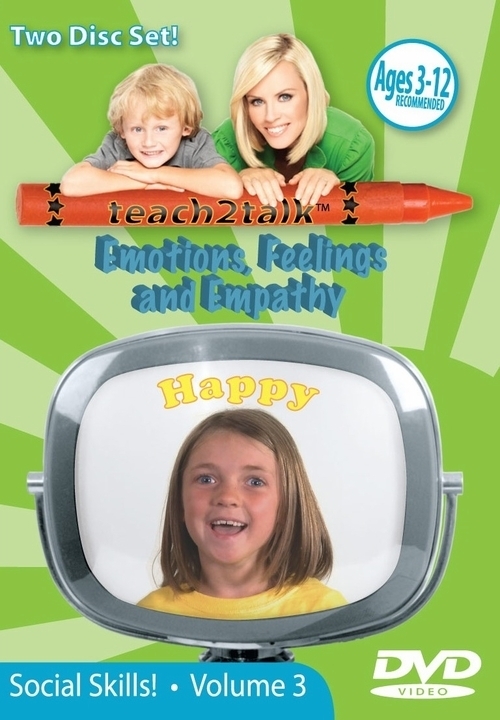 The second, more advanced, disk helps teach children how to identify situations where other children are experiencing these emotions, how to appropriately express these feelings themselves, and introduces the concept of empathy with suggestions about how to help or relate to a friend feeling a certain way. Many of the children I work with have difficulty understanding emotions and empathy. It’s difficult to teach someone what it means to feel a certain way, or even to recognize when others are feeling that way. 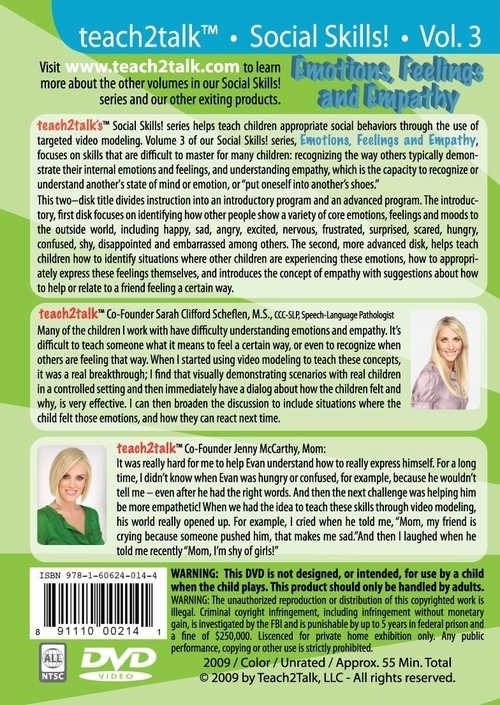 When I started using video modeling to teach these concepts, it was a real breakthrough; I find that visually demonstrating scenarios with real children in a controlled setting and then immediately have a dialog about how the children felt and why, is very effective. I can then broaden the discussion to include situations where the child felt those emotions, and how they can react next time.